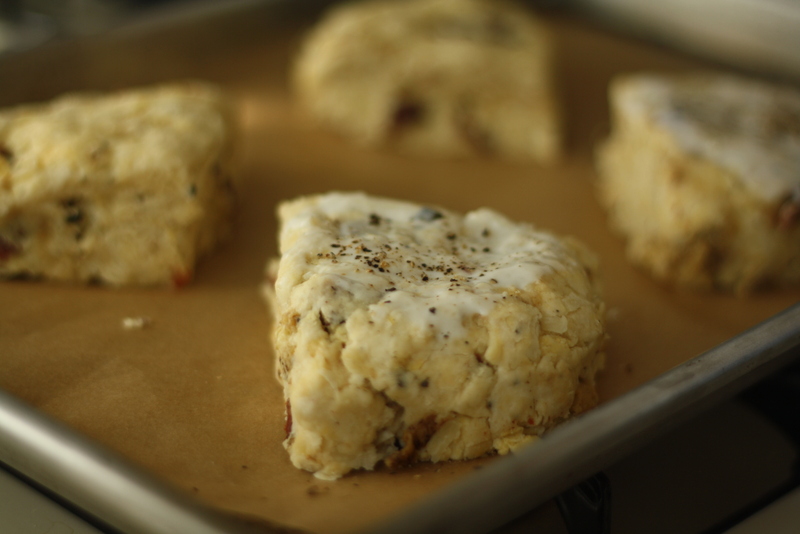 …as in bacon PLUS scrambled eggs PLUS cheese all up in the business of a buttery, flakey, scone. 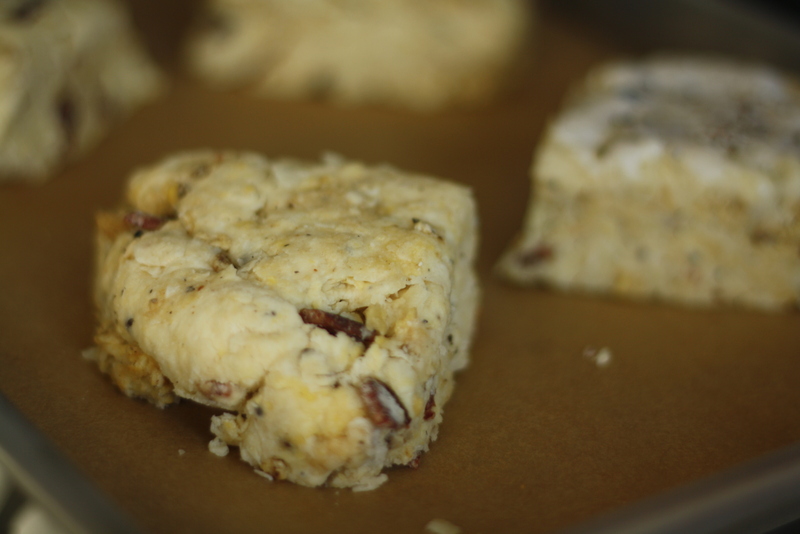 You probably assumed from the title that this is a diet scone. Oops! Just kidding. I thought we were talking about carrots for a sec. 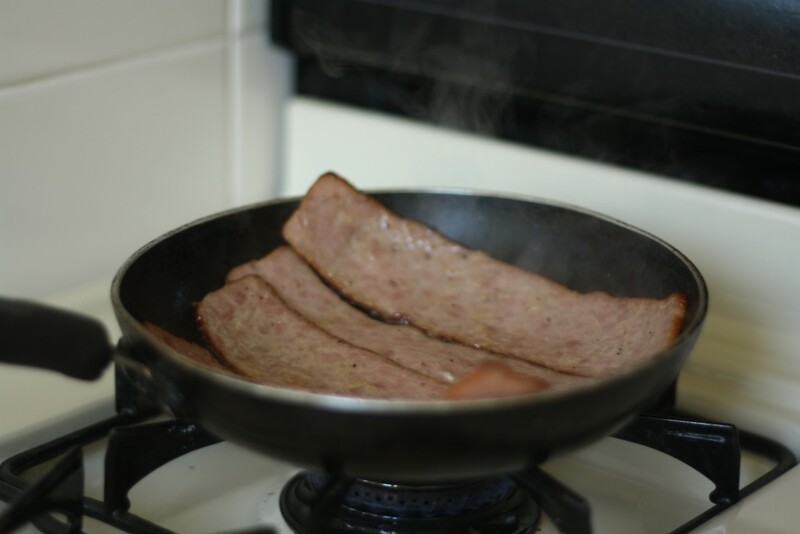 Fry up bacon, scramble some eggs, grate a little cheese – there is breakfast right there. 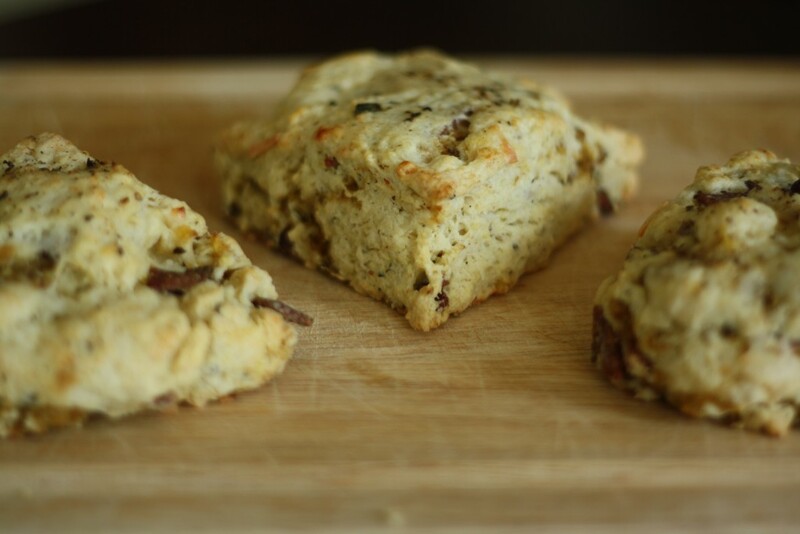 Then take it one step further and stuff all that country breakfast goodness into a scone. Omg. Awesomely delicious? Yes! These were inspired by one of those food conversations where the talk goes on and on about all the good stuff that you have eaten or the restaurant that you want to eat at or some dish that you will attempt to replicate in the near future – please tell me I’m not the only one. I got to work the minute my friend told me that she had made a bacon egg and cheese scone. My mind was blown. It was also Scone Sunday so I think my family would be proud. Preheat the oven to 425 and line a baking sheet with parchment. 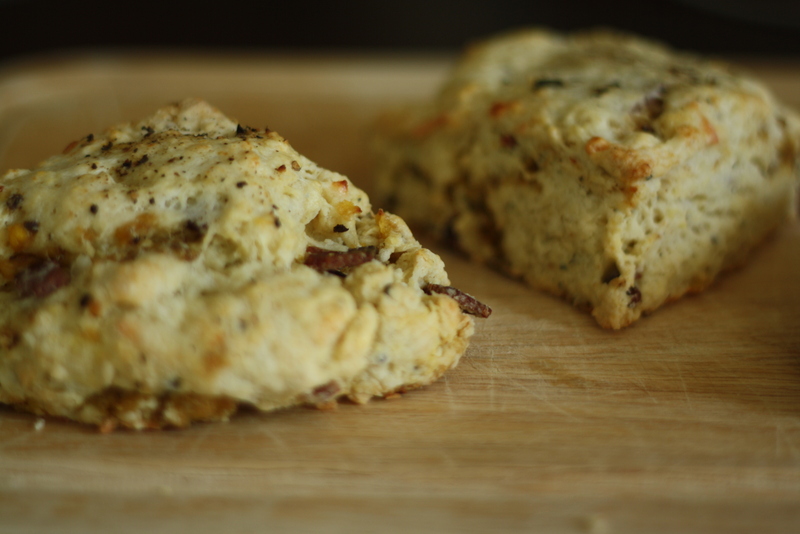 Start cooking the bacon, and let it sizzle away while you prepare the scone dough. 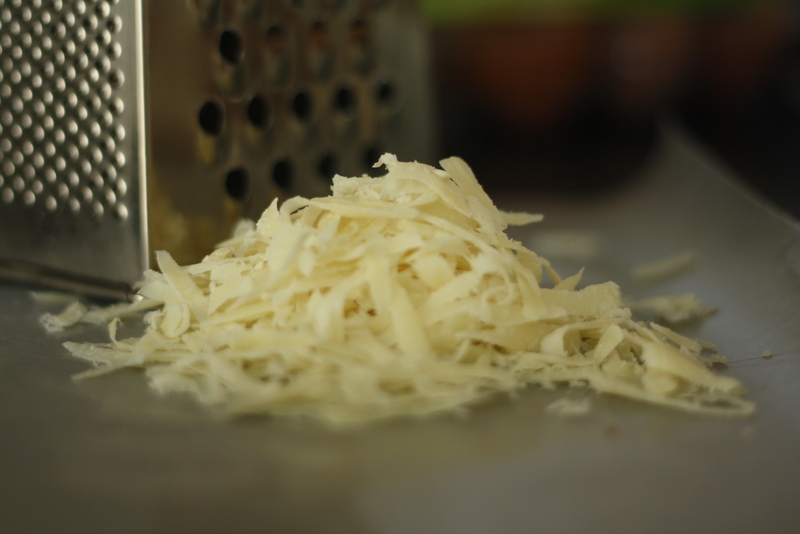 Whisk together the flour, sugar, baking powder, baking soda, salt, black pepper and cheese, then set aside. 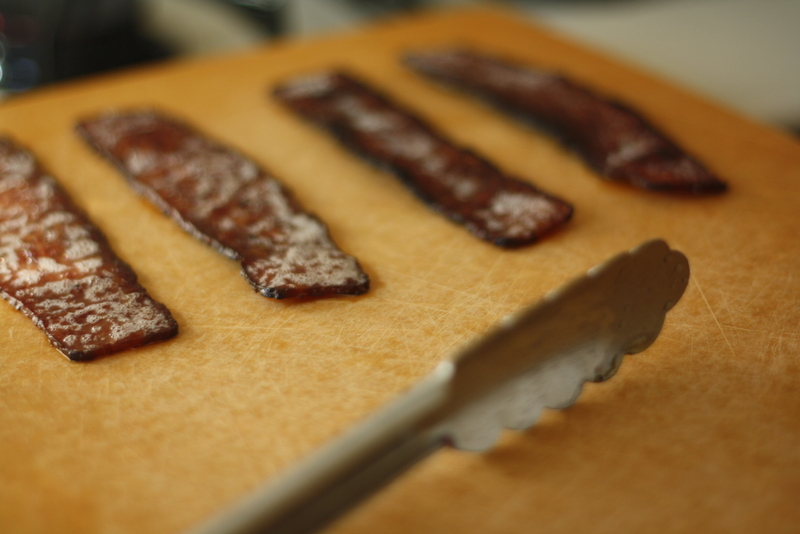 When the bacon is crispy, transfer to a cutting board and chop into small bits. Whisk together two eggs with a pinch of salt and pepper, and scramble them over medium heat (I drained off the bacon fat from the pan and used it to cook the eggs). 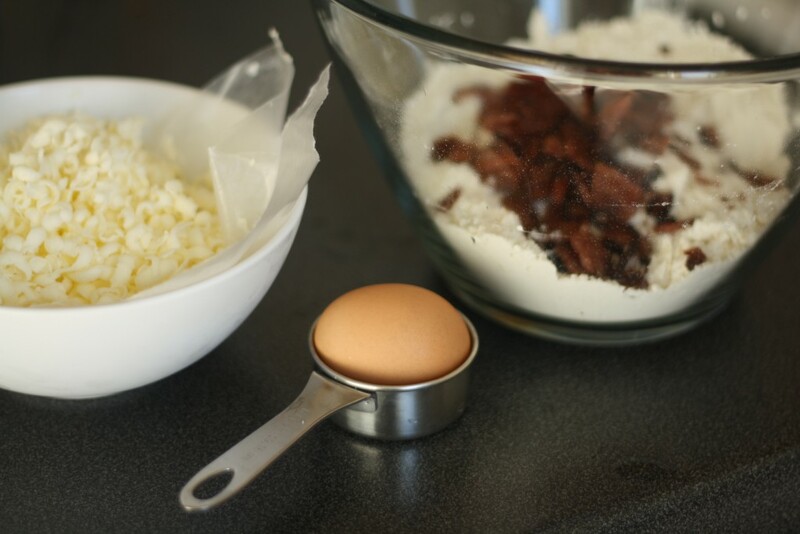 The eggs should be well cooked since they will be folded into the dough, and will look a bit drier than eggs you would serve. Unless you like dry eggs, then they will look like breakfast. 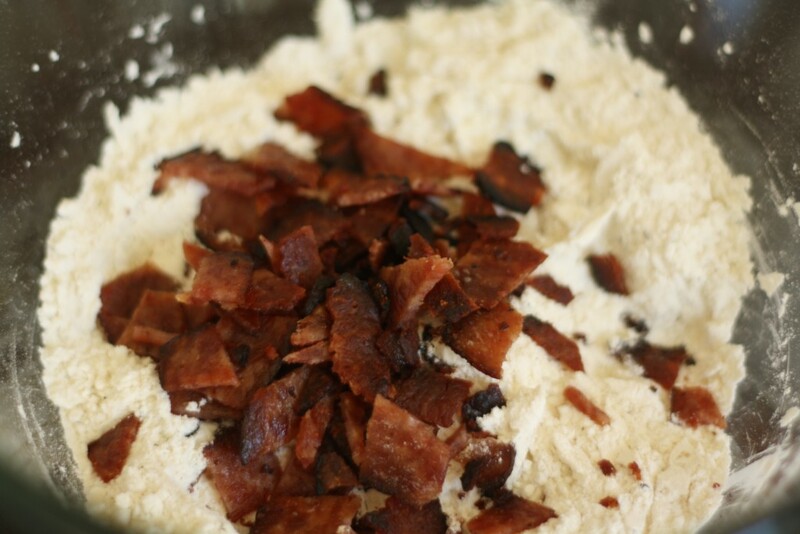 Cut the butter into the flour mixture so that some chunks remain, add the in bacon, and toss with flour so that the bacon is dredged. 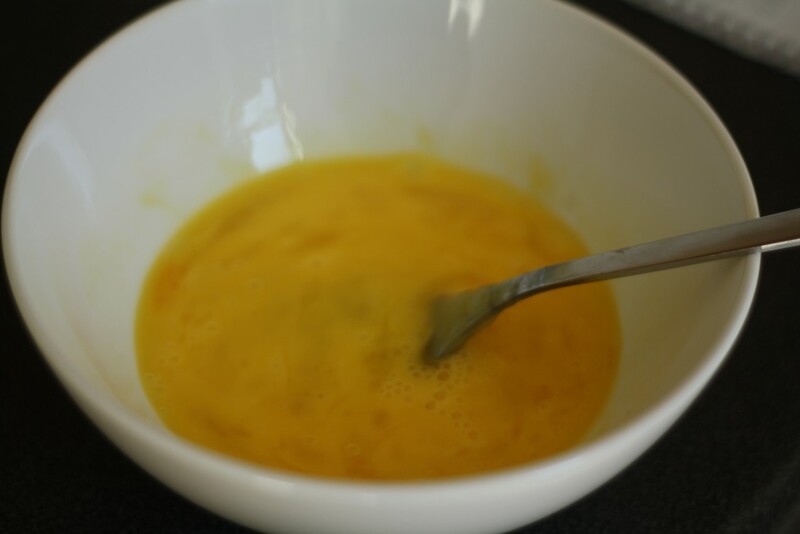 Whisk the egg yolk into the buttermilk and incorporated into the flour mixture so that it is well combined. Turn the dough on a floured surface and knead a few times so that it comes together. 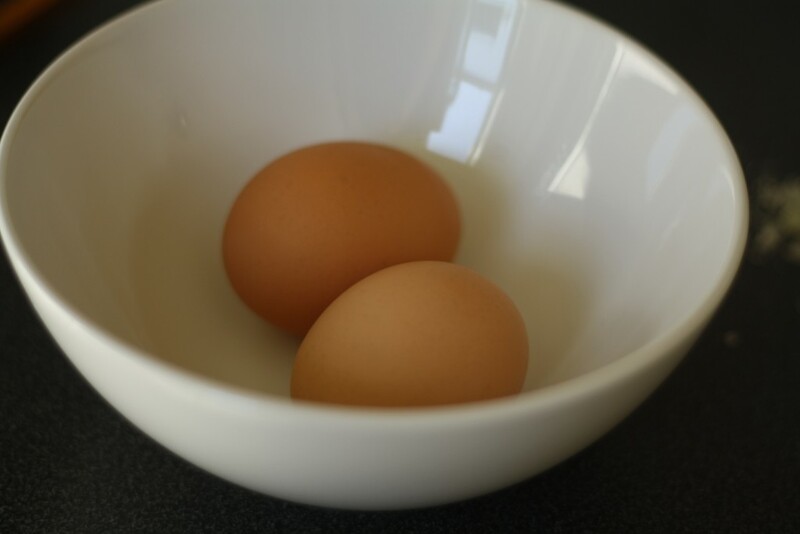 Fold in the eggs (working fast since the eggs will be warm) and when everything is combined, pat into a circle. Cut into quarters, and transfer to the baking sheet. 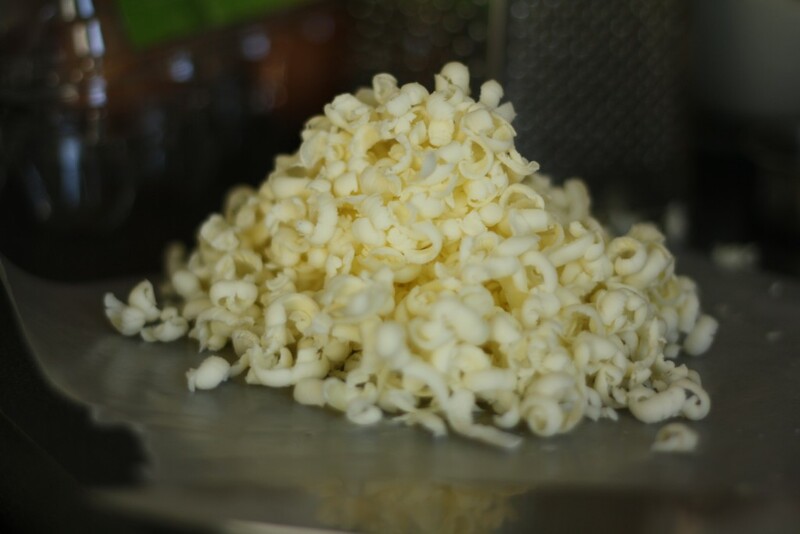 Brush with buttermilk and sprinkle with fresh ground pepper. Bake for 20-25 minutes and serve immediately. 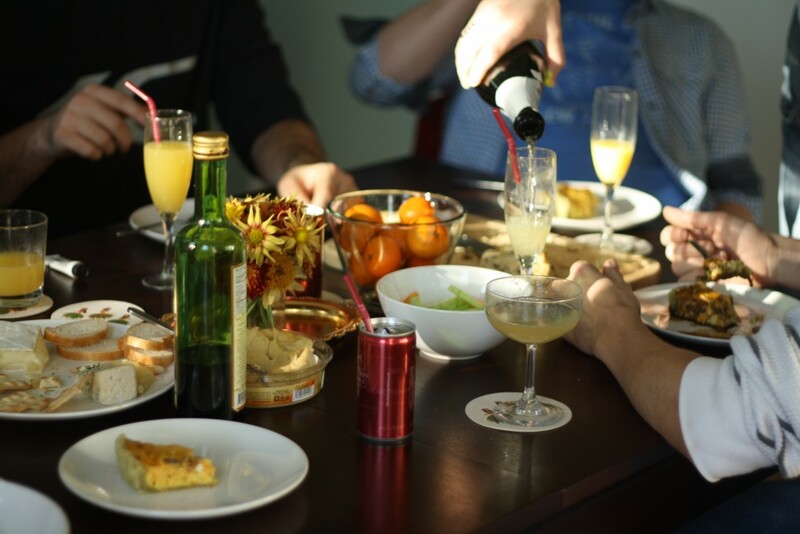 The straws in the mimosas really make this photo for me. Because everything is better with a straw? And because they really complete the classy look! is that turkey bacon you used?